If you want to live the life of luxury and elegance, you can and should do that at Gibbes Estate. Located on the waters edge on the West Coast of Barbados. If you want to live the life of luxury and elegance, you can and should do that at Gibbes Estate. 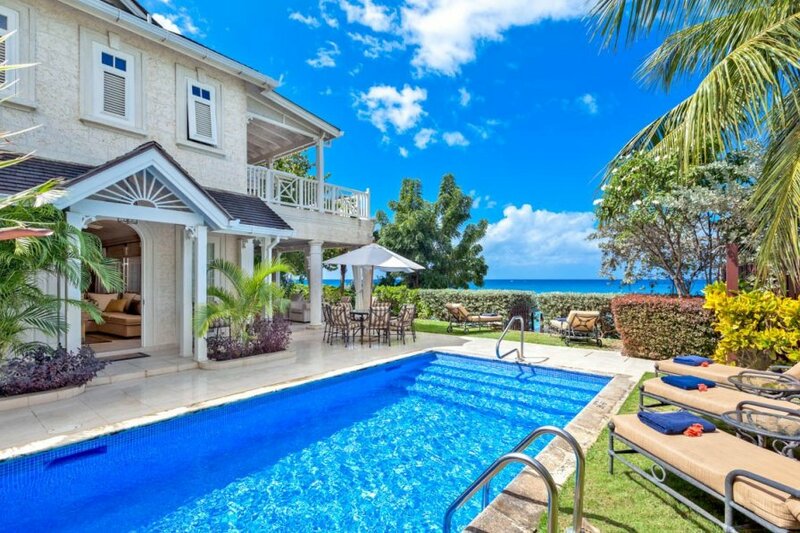 Located on the waters edge on the West Coast of Barbados, this opulent Villa is the perfect home away from home. This four bedroom home offers peace and quiet as you enjoy your holiday in Barbados. It's the perfect getaway for a group or a family looking for plenty of space to relax and seek respite from their busy lives. The open plan living area offers plenty of spots to relax, whether you're cosied up in the living room with a good book or sitting watching a movie on the flat-screen television. The living area opens out onto a expansive patio, which is the perfect spot for enjoying breakfast or dinner, if you can catch the sunset it's even better. The kitchen opens up onto the indoor dining room, and also onto the patio. Large windows make it convenient to pass food and drinks through, and keep those in the kitchen included in the conversations going on. Of course, should you wish to relax you can enjoy scrumptious meals by the villa's chef. Three of the four bedrooms are on the first floor and all offer airconditioning and en-suites. The master bedroom also boasts a cable television should you wish to relax in bed with a cup of tea and a movie. The master bedroom and the second bedroom share a balcony that overlooks the magnificent views of Gibbes Bay, while the smaller balconies of the other two rooms have views over the villa's lush gardens. The setting of this Villa is magical, so it's no surprise the Villa takes full advantage of the sun, beach views and lush gardens. As you enter the Villa you're surrounded by lush greenery, and front and centre is the shimmering pool that's surrounded with sun loungers. There's even a water feature for added opulence. As you lay by the pool, you can hear the sounds of the waves crashing and calling you into their waters - and should you wish it's just a few steps till you're in the beach. You can even take your loungers with you through the private direct access from the Villa to the beach. Gibbes Estate is a 4-bedroom beachfront villa, where guests are welcome to sprawl out on Gibbes Beach. Barbados is an enchanting island, renowned for stunning beaches, sensational sunsets and a rich history that can be experienced through various activities and experiences on the island. It's an ideal place to visit all year round due to the warm climate, that rarely gets unbearably hot due to the light sea breeze. Of course, travelling to Barbados you will have packed your swimwear and your flip flops because you want to visit as many stunning beaches as possible. There are countless beautiful beaches to enjoy, from Miami and Rockley Beach to Bottom Bay and Mullins Beach - the latter being one of the lost popular spots in Barbados. Many beaches offer sun loungers, changing room facilities and even restaurants and bars, so you can stay long after the sun goes down. There is more to the island then beaches, if you fancy sticking to dry land head inland and explore the endless fields of sugar canes that are dotted with plantation houses. These plantation homes offer an incredible insight into the history of Barbados, and are well worth a visit in order to truly appreciate the history of this country. There are many other historical sights to see, from The UNESCO-listed town centre of Bridgetown to Speightstown, the second largest town centre which features architecture that is both stunning and historical. Of course, in Barbados you have to do as the locals do, which means trying the island's internationally recognised rum and their local specialty - flying fish. After all, you can't visit a new country and not sample the local cuisine.